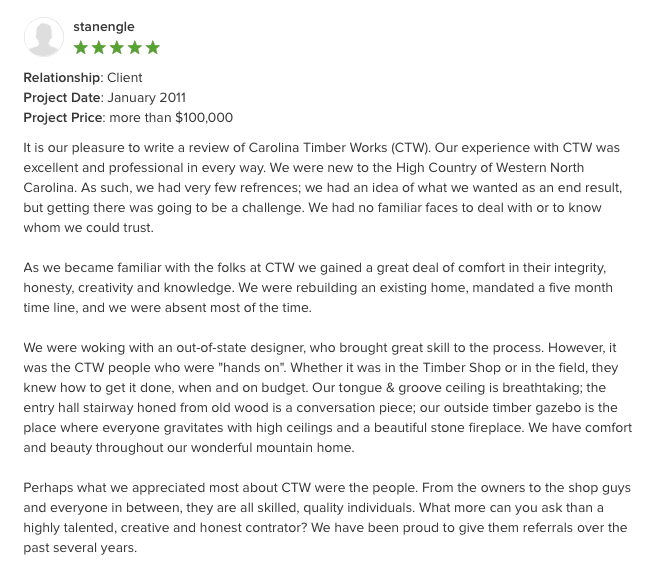 It is our pleasure to write a review of Carolina Timberworks (CTW). Our experience with CTW was excellent and professional in every way. We were new to the High Country of Western North Carolina. As such, we had very few references; we had an idea of what we wanted as an end result, but getting there was going to be a challenge. We had no familiar faces to deal with or to know whom we could trust. As we became familiar with the folks at CTW we gained a great deal of comfort in their integrity, honesty, creativity and knowledge. We were rebuilding an existing home, mandated a five month time line, and we were absent most of the time. We were working with an out-of-state designer, who brought great skill to the process. However, it was the CTW people who were “hands on”. Whether it was in the Timber Shop or in the field, they knew how to get it done, when and on budget. Our tongue & groove ceiling is breathtaking; the entry hall stairway honed from old wood is a conversation piece; our outside timber gazebo is the place where everyone gravitates with high ceilings and a beautiful stone fireplace. We have comfort and beauty throughout our wonderful mountain home. Perhaps what we appreciated most about CTW were the people. From the owners to the shop guys and everyone in between, they are all skilled, quality individuals. 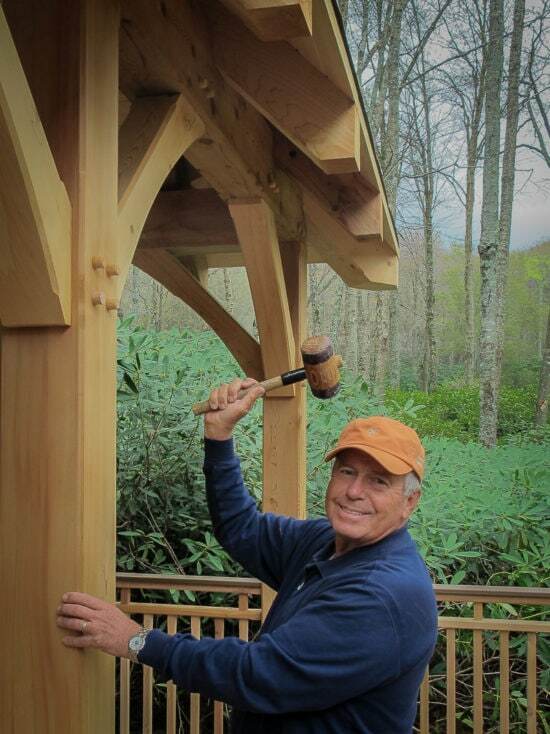 What more can you ask than a highly talented, creative and honest contractor? We have been proud to give them referrals over the past several years.